Parga (Greek: Πάργα [ˈpaɾɣa]) is a town and municipality located in the northwestern part of the regional unit of Preveza in Epirus, northwestern Greece. The seat of the municipality is the village Kanallaki. Parga lies on the Ionian coast between the cities of Preveza and Igoumenitsa. It is a resort town known for its natural environment. The municipality has an area of 274.796 km2, the municipal unit 68.903 km2. In antiquity the area was inhabited by the Greek tribe of the Thesprotians. The ancient town of Toryne was probably located here. 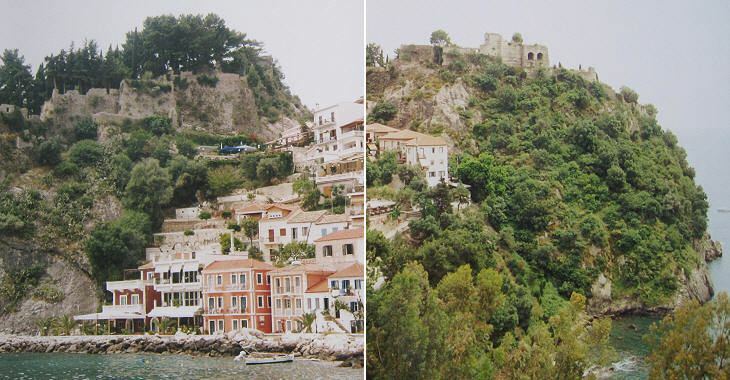 The village of Parga stands from the early 13th century. It was originally built on top of the mountain "Pezovolo". In 1360 the Pargians, in order to avoid the attacks of the Magrebins, transferred the village to its present location. During that period, with the help of the Normans, who held the island of Corfu, the fortress of Parga was built. In 1401 a treaty was signed with the Venetians, and the rule of Ionian Islands passed to them. The Venetians respected the lifestyle of the Pargians who provided, in turn, invaluable assistance to the fleet of the Venetians. At the same time the Pargians fought by the side of their compatriots to throw off the Ottoman rule. As Parga was the only free Christian village of Epirus, it was a perfect refuge for persecuted fighters and their families. In 1797 the area, along with the Ionian Islands and Parga, fell into the hands of the French, and in 1800, proclaimed free city status with broad authority under the protection of the Sublime Porte. In 1815, with the fortunes of the French failing, the citizens of Parga revolted against French rule and sought the protection of the British. In 1817, following a treaty between Britain and the Ottoman Empire, the British granted Parga to the Ottomans. This resulted in the Good Friday of 1819 where 4,000 Pargians, having with them the ashes of the bones of their ancestors, their sacred images, flags and a handful of soil from their homeland, exiled themselves in the British protectorate of Corfu where they settled. 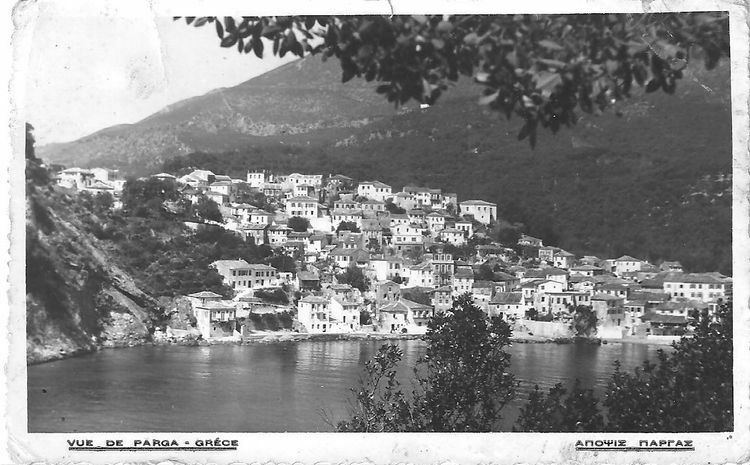 The former citizens of Parga never ceased to dream of returning to a free country and to participate actively in the struggle for liberation. But they had to wait almost 100 years for this. Parga and the rest of Epirus was liberated from the Ottoman rule on 1913 following the victory of Greece in the Balkan Wars. The Castle is found on the top of a hill overlooking the town and was used to protect the town from the mainland and the sea. It was initially built in the 11th century by the residents of Parga to protect their town from pirates and the Turks. In the 13th century, as their control of the region increased, the Venetians rebuilt the castle to fortify the area. In 1452, Parga and the castle were occupied by the Ottomans for two years during which time part of the castle was demolished. 1537, Ottoman admiral Hayreddin Barbarossa burnt and destroyed the fortress and the houses within. Before the reconstruction of the castle in 1572 by the Venetians, the Turks demolished it once again. The Venetians rebuilt it for the third and last time creating a perfect, strong fortress that stayed impregnable until 1819, despite attacks, especially by Ali Pasha of Ioannina, who besieged them from the castle of Agia-Anthousa. The Venetians created a perfect defence plan which they combined with the natural fortification made the fortress. Outside the castle eight towers placed in different positions completed the defence. Inside the narrow space of citadel there were 400 houses, positioned so that they occupied only a small space far away from the seaside. From this castle the free-besieged population of Parga and Souli fought epic battles, retaining their freedom for centuries. From the faucet “Kremasma” the tanks of the castle and the houses were provided with water. The castle for its provision used the two bays of Valtos and Pogonia. When Parga was sold to the Ottomans, Ali Pasha enhanced it even more by placing both its harem and Turkish bath at the top. This radically improved the rooms of the castle. On the arched gate at the castle entrance, on the wall, you can see the winged lion of Agios Markos, the name “ANTONIO BERVASS 1764”, emblems of Ali Pasha, two-headed eagles and relative inscriptions. Archways, gun emplacement rooms, supplies lodges, strong bastions with gun safe boxes, safe boxes of small arms, secret passage to the sea, barracks, jails, warehouses and two block-houses at the last defense line: prove the perfection of the defense plan, which along with the natural fortification, made the fortress unconquered. Amphitheatrically built, the city of Parga is a resort situated between the coastal region of Preveza and Igoumenitsa which combines mountain and sea. One of the most picturesque and cosmopolitan places in northwestern Greece, it is known as the “Bride of Epirus”. 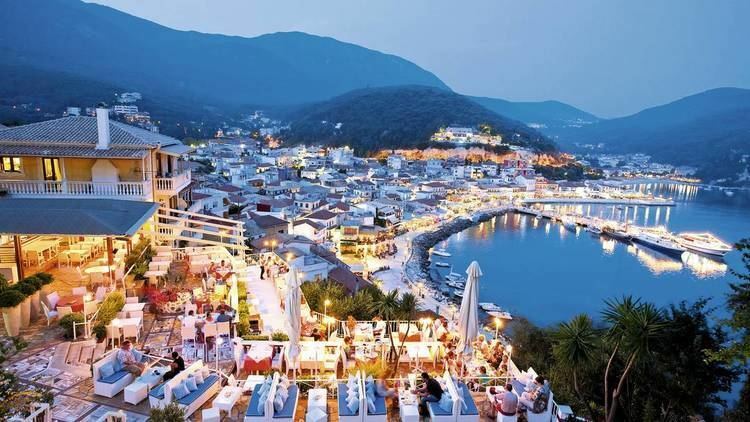 Parga is 65 km from the airport of Aktion – Preveza and the summer months is connected with the surrounding islands (Paxos – Antipaxos – Corfu). Parga attracts thousands of tourists every summer due to natural features such as beaches. Nearby beaches include: Valtos, Kryoneri, Piso Kryoneri, Lichnos, Sarakiniko and Ai Giannaki. Lichnos Beach is one of the beaches of Parga and is located in a green and verdant landscape. It is at a distance of 4 km. away from Parga. It is surrounded by the olive groves of Parga. Krioneri Beach is the main beach of Parga and is located within the bounds of the community in short distance away from centre and quay. Across the bay is the small island of Virgin Mary, which can be accessed by swimming or by sea bike. Valtos Beach is one of the longest beaches of Parga with a coastline that approaches (3 km) km. It is located just under the castle of Parga. Because of its clear and calm waters and its distance from Parga it attracts many tourists. It is covered by sand and pebbles, is quite safe as it is surrounded by the bay of the castle of Parga, and by the bay of Vlacherna, whereas the length of coastline allows the natural renewal of the water without the strong streams. Northwest side in Anthoussa village, you can find one of the most special churches in Greece. This small church was built at 14 century just between of two huge rocks. Just below exists an exotic small beach with turquoise water. Virgin nature! West side in Agia village , in a full green location of olive trees and a small river, Sarakiniko is a well-known beach in Parga-12 km away from the centre- which has developed its own touristic provision the last years. This beach is connected with the port of Parga with small boat trips. The town of Parga is linked with direct suburban buses (KTEL) to other Greek cities and towns such Igoumenitsa and Preveza. There are also non-direct connections to and from Athens, Thessaloniki and Ioannina although during July and August there is a daily direct bus connection to Ioannina. The closest airports to Parga are located at Aktio (65 km) with seasonal direct flights to and from Athens and Thessaloniki and other domestic destinations and is also served by charter flights from abroad, at Ioannina (105 km) with regular flights to and from Athens, and at Corfu (46 km + car-ferry from Igoumenitsa) with regular flights to and from Athens, Thessaloniki, European destinations and the Ioanian Islands. In the summer, the Preveza airport has direct flights to London and Manchester as well as several German and Italian airports. Parga is located at a distance of (10 km) from the national road and (34 km) from national motorway . Parga and the surrounding areas have many restaurants and seaside taverns serving fresh fish. The entertainment in Parga includes walks and tours, water sports (diving, water skiing, fishing and wind surfing).